Corn Festivals in 2019: Where, When and More to Find a Corn Festival Near You! Looking for a Corn festival in April 2019? There is no other listing as complete and current as this list, just updated! Corn festivals are held through the United States, Canada, Britain, and Australia and much of the world. All the Corn festivals we can find are listed on this page! If you love Corn, look for a festival near you below! And I'm looking for more Corn festivals! Please write me, if you know of any to add! I update the dates as soon as the festivals publish their information, but you can always click on the links (usually the name of the festival) to see the current information on the festival's own website. how to can corn to use later. 395 S Main St, Camp Verde, AZ. Phone: (928) 301-0922. Taylor Rodeo Complex, Taylor, AZ. Phone: 928-536-7366. Email: [email protected]. Oak Street & Second, Brentwood, CA. Music, fireworks on Friday night, cooking contests, vintage car show, food, kids fun zone. Note: It wasn't held in 2014 nor 2015: For the second year in a row, the Brentwood Corn Festival is not going to take place this 2015. In its place, the Harvest Time Festival is scheduled for mid-July in Downtown Brentwood. Read the press release for this year's Harvest Time Festival. El Centro/Lions Park, Cypress and Erna Streets, La Habra, CA. Phone: 562-260-3750. Email: [email protected]. Parking in neighborhoods around park. Directions: https://www.google.com/maps/. Lions Club rides food vendors and fun. The Corn Festival is the signature event for the La Habra Host Lions Club. It has been a success for decades and continues to be the highlight of the social calendar in La Habra. Located at El Centro /Lions Park, the festival covers an entire weekend and includes numerous rides and attractions, independent food, game and craft booths, a market place, live music, a car opportunity draw contest and Miss La Habra, the club queen and her court! Downtown Loveland, CO 80538. Phone: 970-667-6311. Email: [email protected]. The Old Fashioned Corn Roast Festival includes the parade, corn shucking competition, corn eating contest and all the roasted and boiled corn anyone could eat! In addition, people of all ages enjoyed a variety of entertainment, great vendors and more. General attendance and all concerts are free and open to the public. Corn will be for sale throughout the festival. Roasted corn will be available Friday, and roasted or boiled corn will be available sale on Saturday. An ear of corn only cost two tokens and all our corn is GMO free! Olathe, CO. "The Olathe Sweet Corn Festival, held annually in the small town of Olathe Colorado, is a full day of excitement, relaxation, food, fun, shopping, music, entertainment, and the best sweet corn on the planet "
Exit at Southern Boulevard. Exit #68. Go west approximately 7 miles. Turn right on Fairgrounds Rd. Enter Gate 12 to main Expo entrance. Exit at Belvedere Rd. Exit #69. Go west approximately 7 miles to Sansbury s Way. Turn left on Sansbury's Way. Go south for about 1/3 mile. Enter Gate 3 on Sansbury's Way to main Expo entrance. Exit #97, Southern Blvd. in West Palm Beach. Go west 1.5 miles. Turn right on Fairgrounds Rd. Enter Gate 12 to main Expo entrance. Zellwood Sweet Corn Festival - A visitor writes on May 21, 2016: "Just wanted to let you know that there has not been a Zellwood Corn Festival in Florida since 2013 and no announcements to bring it back"
2583 Sycamore Road #80, Dekalb, IL 60115. Phone: 815-748-2676. Email: [email protected]. Open: August 20th through Sunday, August 22, 2010 at DeKalb Taylor Municipal Airport; Festival Hours Friday, 3pm-11pm; Saturday, 10am-11pm; Sunday, 10am-6pm. Directions: The festival site at DeKalb Taylor Municipal Airport in DeKalb, IL, which is about 60 miles west of Chicago. Phone: (815) 539-6507. Serves nearly 50 tons of free hot, buttered corn during the event. Music, parade, car show, ethnic and regional foods, handmade crafts and flea market. The festival offers a variety of entertainment events for the entire family. The events take place primarily in the downtown area, and with the exception of the beer garden, have no admission fees or parking fees. Free musical entertainment is in abundance. The Crafters Market Place and flea market features over 200 dealers in hand made crafts and unique merchandise. There is a Queen Pageant, beer garden with live bands, grand parade and a carnival with rides and games for both adults and children, plus much more. The midways are lined with food booths, featuring a multitude of ethnic, regional and festival foods, but the "BIG EVENT" is the serving of the free Del Monte sweet corn on Sunday afternoon. For over 60 years, it has been cooked to its golden goodness with the help of a vintage steam engine. If you would like to take some of the memories of Mendota's Sweet Corn Festival home with you, the Mendota Chamber will be selling fresh Del Monte sweet corn by the bag on Friday, Saturday, and Sunday during the festival. Admittance to the festival is free and yes ; that includes seeing the bands. You will, however, need to purchase tickets for food, drinks, and games at $1 each. There'll be ~30 food and drink vendors to satisfy any craving, informational and merchandise vendors to learn from and shop at, dozens of free and ticketed kids activities, a vintage car show, and two nights of live music featuring local favorites, regional up-and-comers, and national headliners. Oh, did we mention the best-tasting sweet corn the fine state of Illinois has to offer?The Urbana Sweetcorn Festival is host to two nights of live music, featuring performances by local favorites, several regional acts, and nationally-renowned headliners. Brazil, Indiana 47834. Birthplace of the best-known name associated with popcorn, Orville Redenbacher. "This festival celebrates the #1 snacking product in the nation POPCORN! Orville Redenbacher established his first popcorn plant in Valparaiso, Indiana. In 1979 the City decided to thank Orville by celebrating popcorn with an annual festival." ConAgra Corn Maze, Farmer Ron's Amazing Fieldtrip, Popcorn Eating Contest, Lion's Club Bed Race, Orville Look-Alike Contest, a band and Luehr's Ideal Rides carnival. Click here to see TV Commercial. downtown Valparaiso, IN. Family-fun activities for all ages. Over 200 arts & crafts booths, 30 food booths, kids games, the five-mile Popcorn Panic, and the nation s First Popcorn Parade are only the beginning of the excitement of this incredible festival. The Valparaiso Popcorn Festival is located in beautiful downtown Valparaiso, kicking off with the Popcorn Panic at 7 a.m. and wrapping up at 6:30 p.m. Plenty of off-site parking is available with a shuttle bringing you downtown. West Point, Iowa 52656. 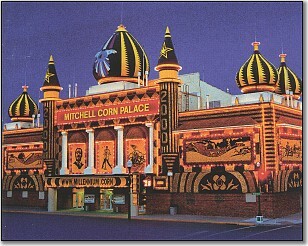 Claims to be Iowa's largest sweet corn festival. Home, Shuckfest , Contact Information, Schedule of Events, Corn Cob Countdown , Past Highlights, Games, Links. How does all this corn get shucked? At the Shuckfest! Take a look at scenes from Shuckfest 2003. Morganfield, KY. Phone: 270-389-1239. ERmail: [email protected]. Louisiana Corn Festival - held every year the second full weekend in June. Auburn, MI. The Auburn Cornfest is an annual celebration of Auburn and main fundraiser of Auburn Improvement Management, a partnership between the Auburn Jaycees and the Auburn Chamber of Commerce. Started in July 1971. Click here for a link to our Facebook page. Riverfront Park, Beacon, NY. There will be live music throughout and many educational and environmental booths. And of course the Woody, a wooden replica of a gaff-rigged Hudson River ferry sloop, will be on hand for free sails on the Hudson during the festival. American Legion Post 880, Legion Drive, Eden, NY. Email: [email protected]. The festival is held on the American Legion Post 880 grounds on Legion Drive in Eden directly off Route US-62. Entertainment of all sorts, amusement rides to games of chance, contests to ball games and much more. To satisfy your hunger there is everything from ice cream to fried green tomatoes, hot dogs to, well you name the food and you will probably find it here. But above all else, save room for the best and sweetest corn on the cob in the world! We recommend that you arrive before lunch and stay until after dinner. That way you will be able to try more then one of your favorites. Click on the "Shows" link above for complete details on the "Schedule of Events" so you don't miss any of the special shows the festival has to offer. Community Park East, Dayton-Yellow Springs Road, Fairborn, Ohio. Phone: 937-305-0800. This is a family-oriented event. There will be approximately 180 handmade arts and crafts booths and food vendors. You can enjoy the favorites such as steamed cooked sweet corn, pork chop sandwiches, and fresh cut watermelon. There will be art and crafts for everyone including candles, wood items, jewelry, watercolor and oil paintings, and much more. All day both days, there are activities for children including a train ride, pony rides, and the Big Bounce. There will be free entertainment both days in the festival area. Parking and admission are also free. Historic Lions Park, Millersport, Fairfield County, Ohio. Held in Millersport, Ohio, which is located 25 miles east of Columbus. Enjoy hot dripping ears of sweet corn, large midway, tractor pulls, square dancing, contests, clogging, heritage village, farm exhibits, crafts and lots of festive foods in a shaded picnic grove. Grand parade on Wed. at 6:00PM; Nashville country music shows on Friday and Sat at 8:30PM and 5-K Run on Sat at 9:00AM. Event Hours: 5:00PM - 11:00pm W-TH-F and 11:00AM - 11:00PM SAT. Admission is free, fee for parking. For info dial 740-467-3639. Come see why we are earresistable! Ridgeville, Ohio. Phone: 440-218-9802. The annual Corn Festival offers FREE admission, FREE entertainment, FREE parking and it is "Always the Second Weekend in August!" Enjoy the Fireworks, Corn Eating Contest, Kids Games, Bands and the Grande Parade. The Corn Festival has been recognized by Cleveland Magazine as the best festival in Northeastern Ohio in the June 2002 edition. Comments from a visitor on September 22, 2008: "There is a corn festival in South Vienna, Ohio during Labor Day weekend. A very small one stop light town where everybody knows everybody. My Grandma lived there since I can remember. The festival has kiddy rides, antique dealers, lots of vendors, and great food everywhere. Especially well known is the huge pork chops slow cooked/smoked and the homemade chicken & noodles. Thousands of people were there this year for the annual parade. " Strasburg, Ohio. "The family event, which is known throughout the county for it's delicious, homemade food and superb entertainment, draws festival-goers from far and near." Strasburg's 26th Annual Corn Festival will be held Friday, July 27, Saturday, July 28 and Sunday, July 29 at Strasburg-Franklin Park. The family event, which is known throughout the county for it's delicious, homemade food and superb entertainment, draws festival-goers from far and near. Aumsville Corn Festival - the corn festival is the end of August. Aumsville, OR. Phone: 503 749-2371. Every year, the community holds the Aumsville Corn Festival in this park which is situated on Mill Creek. Comments from a visitor on September 16, 2008: "It's a lot of fun. We used to live there and enjoyed going to this festival very much. Love the Sweet Corn most!" 21 N Morris St, Shippensburg, PA 17257.. Downtown main streets are closed to vehicular traffic and transformed into a huge street fair for the day. More than 250 craft and food vendors, an antique car show, free family entertainment and a lively corn eating contest! All events at the Festival are free, so bring the family for a day of fun! (but please, NO PETS on the festival grounds) "The Corn Festival, which was rated the best one-day festival in Pennsylvania by the Pennsylvania Festivals Association, is presented by the Corn Festival Committee, a small group of dedicated volunteers." Union City, TN 38281. Phone: (731) 431-8132. Oddly, their website has nice graphics, but little useful information about the festival. like where it is held, when, and what activities will be there. You'll have to call them.See last year's brouchure. Holland, TX. Phone: 254-760-5311. Email: [email protected]. Come and celebrate with us! This is the 42nd year Holland, Texas has celebrated the local cash crop.Events include a Parade, 5k run, Contests, Concert/Dance, Barbecue Cook-Off, Arts & Crafts, Carnival and much more. Enterprise Elementary school, 200 S. 100 E., Enterprise, UT. All proceeds from the Cornfest will benefit Enterprise Parks & Recreation and Enterprise Elementary. An estimated 3-5,000 people attend this event each year. There will be an abundant craft and food vendors to choose from all day. We will have expanded shade tents, bleacher seating, and increased parking. We will have a volleyball tournament and our annual car show. There will also be many other activities for the whole family to enjoy. There will be an early morning breakfast available at the Elementary School for vendors as they set up and for Corn Fest staff. Fun Run/Walk 1K or 5K, Booths, Car Show, Food, Entertainment, Book Fair, Kid s Activities, Displays & More, Dutch Oven Dinner from 5:30PM 8:00PM; Entertainment from 10:00AM 6:30PM; Dancing in the Park from 7:30PM 11:00PM. Continuous entertainment all day! Chicken BBQ w/ Free Sweet Corn 11:00am - till gone, Brat & Burger Stand, Inflatable Rides & Kids Games, . Also Fast Pitch League Tournament, Texas Hold'em, Classic Car Show, Kids Walk/Adult Walk/5K Run (benefits Library), Co-Ed Volleyball Tournament, Bean Bag Tournament, Knocker Ball, Cobb Corn Roast Festival is a weekend long celebration along Highway 18 at Scheper Park. Melrose Rod & Gun Club Corn Boil - Saturday 12 pm to 12 midnight and Sunday from 11 am to 5 pm in mid-August; August 11 and August 12, 2018 . Ellison Memorial Park, 110 Industrial Park Drive, Scandinavia, WI 54977. Angell Park, near the intersection of Highway 19 and Highway N, Sun Prairie, Wisconsin. For a nominal price ($1.00 admission in 2008) on Saturday and Sunday per person for gate walk-in, attendees can enjoy free entertainment, children's activities and more. Children age 6 and under are free admission, and if you park on the grounds admission is included in the price. 2008 Buttons were $1.50 for unlimited entrance to the Festival and parking was $5.00 per vehicle and includes admission. Over 100,000 people from around the Midwest attend the event which serves over 70 tons of sweet corn during the weekend! Steamed sweet corn is available on Saturday and Sunday only from noon to 7 pm. Last report a few years ago was a tote of corn was $6.00 and single ears were $1.50. 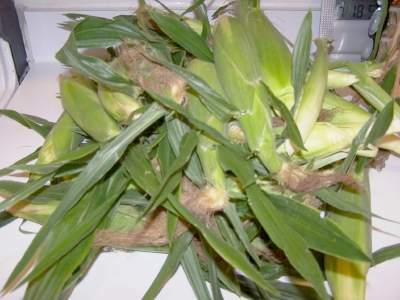 Uncooked corn was available to purchase on Saturday and Sunday for $5.00 per bag. This event features a carnival-midway complete with rides and games, food booths, live bands, craft show, petting zoo, kiddie korner with large inflatables, family entertainment and much more. Thursday and Friday night are carnival wristband nights for the kids with unlimited rides from 6-10pm. Thursday night kicks off the event with the parade down Main Street at 6:30 pm. Festival grounds feature the carnival, booths, and beer tent Thursday and Friday nights after 6 pm. All activities are in place on Saturday and Sunday when the park opens at 11:30 am. 200 - 379 Stephen Street, Morden, MB R6M 1V1. Phone: 204-823-2676. Fax: 204-822-1625. Email: [email protected]. Open: The Morden Corn and Apple Festival is held annually on the 4th weekend of August; (August 24, 25, 26, 2012). Directions: Morden, Manitoba is located in south central Manitoba, 75 miles south west of Winnipeg via PTH #3 or PTH #75; or 12 miles north of the U.S. border. Our exact geographical location is Longitude: 98 degrees 6' West Latitude: 49 degrees 11' North. Click here for a map and directions. Payment: Cash, Cheque. Click here for our Facebook page. It's Fun and It's Free: Free admission, free parking, free hot buttered corn-on-the-cob, free apple cider, free live stage entertainment on 2 stages, free children's events, free historical bus tours, free shuttle bus service. We are famous for the largest Parade in Manitoba. Wonder Shows midway brings out the kid in all (it's not free but it sure is fun. Also enjoy old tyme dancing, a vintage car/Harley Davidson Show 'n Shine, Tractor Pull, Mud Racing, Crafts, vendors, Farmers Market and much more. All features and events can be found on our web site.